Rancho Cucamonga, CA- The Inland Empire 66ers of San Bernardino got a solo homer from Zane Gurwitz versus the Rancho Cucamonga Quakes on Sunday…and that's it. The Quakes made it eight consecutive wins over the 66ers with a 14-1 win and have not been shy about it as the Rancho Cucamonga (86-53, 51-18) has outscored the 66ers 85-25 in those eight games. The Quakes got a homer off Sixers starter Travis Herrin (0-2) from Cody Thomas (19th) in the first and led 1-0 until the fourth when they erupted for six runs. They added five more in the fifth, on one hit, to make it 12-1. 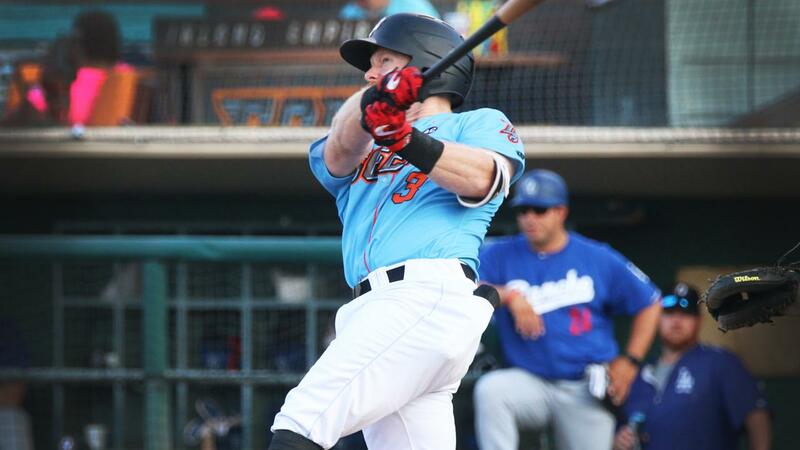 That set the stage for Gurwitz' Ruthian blast to left in the sixth that lifted the 66ers offense into the atmosphere for the briefest of moments, fleeting yet majestic as it soared thought the fading late-afternoon hazy sunshine that only a waning-season Southern California afternoon can offer. The homer cut the deficit to a manageable 11 runs but Jeren Kendall ruined it by tagging a solo shot in the bottom of the sixth making it 13-1. It was his 12th of the year, sixth against the 66ers and 200th of the year for the Quakes. Max Gamboa tossed a scoreless five innings to improve to 4-2 fanning seven batters. Inland Empire pitching walked nine batters running their total to 21 over the last two games. Reserve catcher Steve Berman threw two scoreless innings for the Quakes while fellow catcher Julian pitched an inning for the Sixers allowing one unearned run. In the last two games the teams have combined to have reserve catchers toss 4.1 innings and not allowed an earned run. Inland Empire fell to 67-72 overall and 34-35 in the second half. The season concludes at Rancho Cucamonga on Monday at 2:05 pm. The contest can be heard live on 66ers.com.